This is a soft centering technique which works on the third eye. Osho says that if the breathing is done correctly in the first stage of this meditation the carbon dioxide formed in the bloodstream will make you feel as high as Gourishankar (Mt. Everest). This “high” is carried into the subsequent stages of soft gazing, soft and spontaneous movement, and silent stillness. 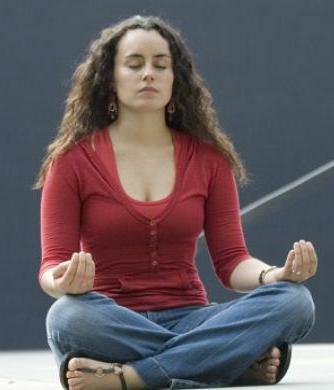 With closed eyes, slowly get back on your feet with your body loose and receptive. Now move very gently and subtely in whichever way you want, the subtle energies within this “latihan” will move you from within, as if you are a puppet hanging from invisible strings and being pulled in different directions slowly and gracefully.